Mr. Maloney is one of the Bucks leading trial and appellate attorneys. He has significant experience in successfully litigating both civil and criminal matters, State and Federal courts, jury and nonjury trials and arbitration. Mr. Maloney handles complex contract cases, all types of commercial litigation, defense of class action lawsuits, land use appeals, business break-ups, and property disputes. Clients appreciate his sensitivity to managing the litigation so that costs are minimized, settlements are reached when needed and the client’s interests are always zealously protected. His clients have included major manufacturers of wind turbines, casinos, automotive dealerships, land development firms, municipalities, and local, national and international businesses. Successful defense of a School District in a tax appeal case involving over 400 homes. Dismissal of a class action lawsuit against a large apartment complex involving allocation of un-metered utility charges. Won a significant award of damages against a private shooting range for injuries sustained in a “bounce back” accident. Successfully defended a tavern owner in a Federal trademark infringement case filed by a major restaurant chain. Successful prosecution of a case on behalf of a residential condominium association for serious structural defects resulting in a seven-figure settlement. Successful prosecution of an exhumation petition to exhume the body of America’s first serial killer, H.H. Holmes, featured on the History Channel mini-series “American Ripper”. Mr. Maloney is a member of the Bucks County and Pennsylvania Bar Associations. He performs pro bono service for, among others, Habitat for Humanity of Bucks County and The Friends of Washington Crossing Park. 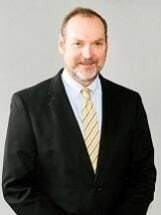 Mr. Maloney has saved as past President and Chairman of the Doylestown Area Jaycees and a past member of the Board of Directors of the Bucks County Bar Association. Mr. Maloney is also a past member of the Board of Directors of Habitat for Humanity of Bucks County. He has served as both Assistant Coach and Head Coach for youth athletic teams for the Lenape Valley Athletic Association. A lifelong resident of Bucks County, Mr. Maloney graduated from George School, located in Newtown, PA, in 1973. In 1977, he received a Bachelor’s Degree in Latin from Dickinson College with honors. He received his J.D. from Temple University in 1981 with honors and was a member of Temple Law Quarterly. He served as a law clerk for the Honorable Edward G. Biester, Jr. of the Bucks County Court of Common Pleas from 1981 to 1982 and as an Assistant District Attorney for the Bucks County District Attorney’s Office from 1982 to 1985 before joining the firm. Mr. Maloney is an active member of the Trevose Trotters Hunting Club and the Nockamixon Sail Club. He belongs to the Doylestown Presbyterian Church where, among other service, he taught Church School for Middle School the High School class for 10 years. Mr. Maloney is an avid sailor and sails old boats, repairs them frequently and fishes from them and from his kayak whenever possible. Bucks County Conference and Visitor's Bureau, Inc.